The author (‘S’) of an earlier BCM article then added to Keeble’s letter the consideration that the total royalties (presumably 10-15%) shared by Blackburne and Graham were thus not likely to have exceeded £150 or £225. 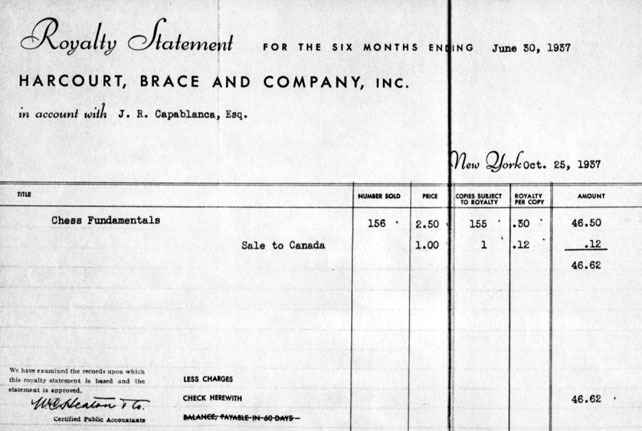 In fact, the sums would have been smaller by one quarter; the selling price was 7/6 (BCM, December 1899, page 500). 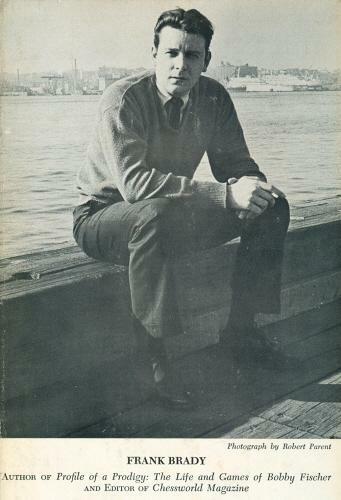 Yasser Seirawan (Seattle, WA, USA) informs us that the book Bobby Fischer Teaches Chess (first published in 1966) has now sold over a million copies. The source of this information is the latest royalty statement received by a co-author, Stuart Margulies. We have occasionally touched on the topic of chess book sales, but it would seem impossible to list authoritatively the best-selling titles, past or present. Is Fischer the only world champion to have a book sell a million copies? 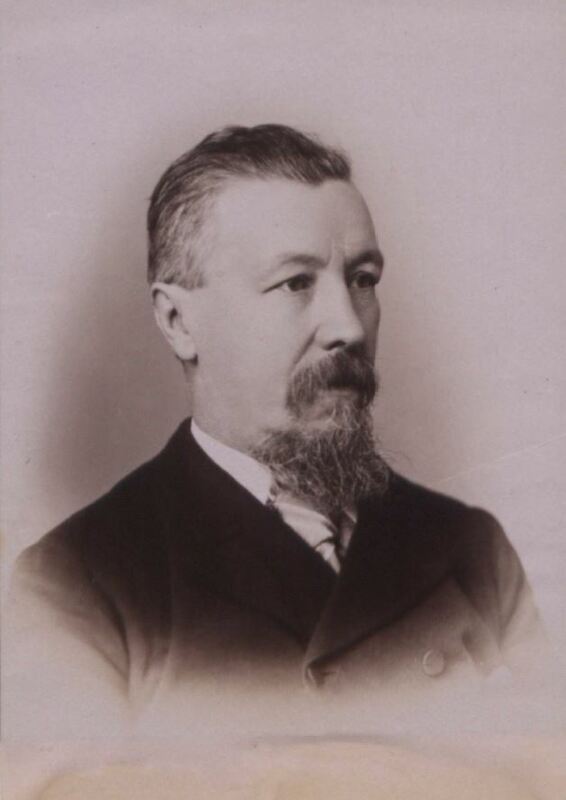 In 1987, C.N. 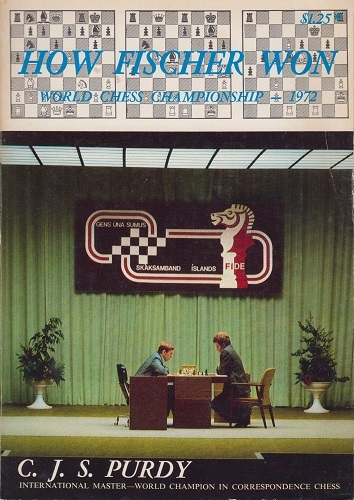 1406 reported that the back cover of the most recent Penguin edition said that since 1954 The Game of Chess by Harry Golombek ‘has sold over a million copies’. We have pre-1986 editions whose back-cover blurbs state ‘over 190,000 copies’ and ‘over 300,000 copies’. If taken literally, those figures give the improbable impression that between 1974 and 1986 the book sold about 700,000 copies. 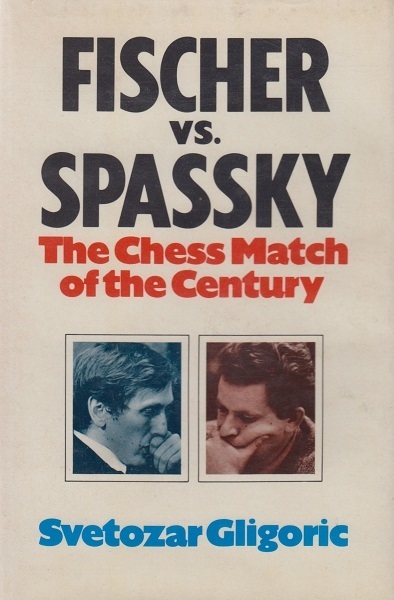 On page 129 of a recent (and decidedly ramshackle) book The Art of Bisguier by A. Bisguier and N. Berry (Hazel Crest, 2003) the former asserts that ‘the best selling chess book of all time’ was Gligorić’s work on the 1972 Spassky v Fischer match. Bisguier states that ‘the English-language version alone sold over 200,000 copies’. That is the entire item, the reader being offered not one word of corroboration or other information. So why would such an improbable claim be made? 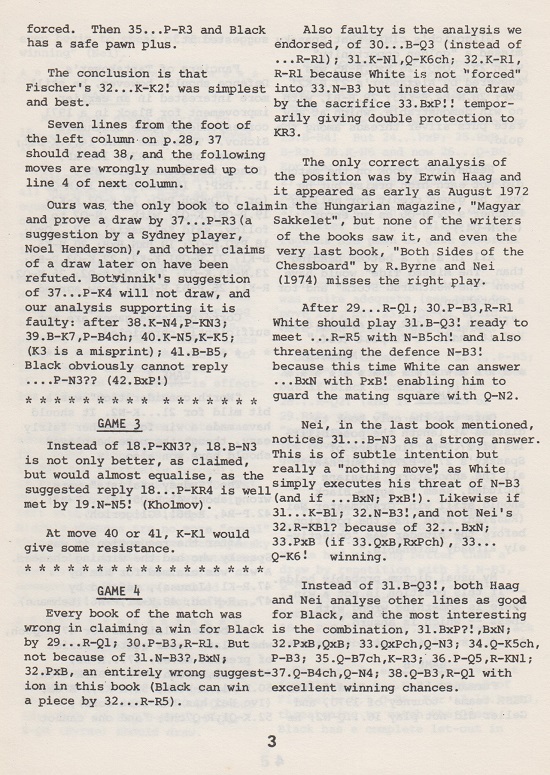 All we can say is that on page 198 of the 1984 edition of The Book of Chess Lists A. Soltis asserted that the Lasker book was the best-selling chess title of Dover Publications, Inc. The passage is on pages 226-227 of the revised and expanded edition of The Sorcerer’s Apprentice (Alkmaar, 2009). 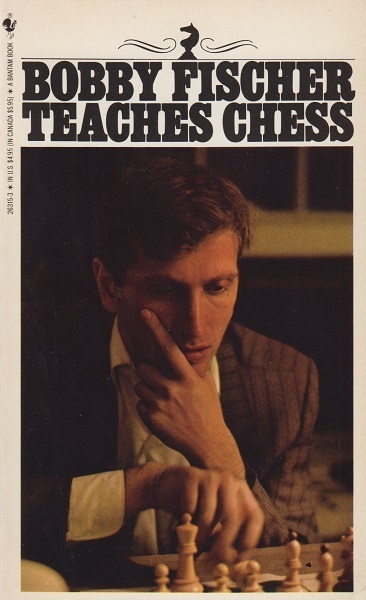 Frank Brady (New York, NY, USA) wonders whether his new biography of Bobby Fischer, Endgame, is the first chess book ever to enter, upon publication, a bestseller list (number 31 on the New York Times list). He informs us that editions of his earlier Fischer work, Profile of a Prodigy, have sold more than 100,000 copies over the years. ‘... the ordinary beginner’s book plunges into a slough of dull verbiage. But how can you explain chess without words? 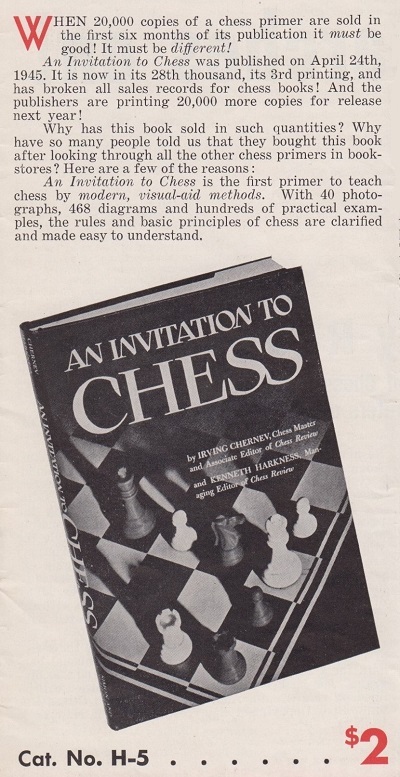 An Invitation to Chess was also published by Faber and Faber Limited, London in 1947. 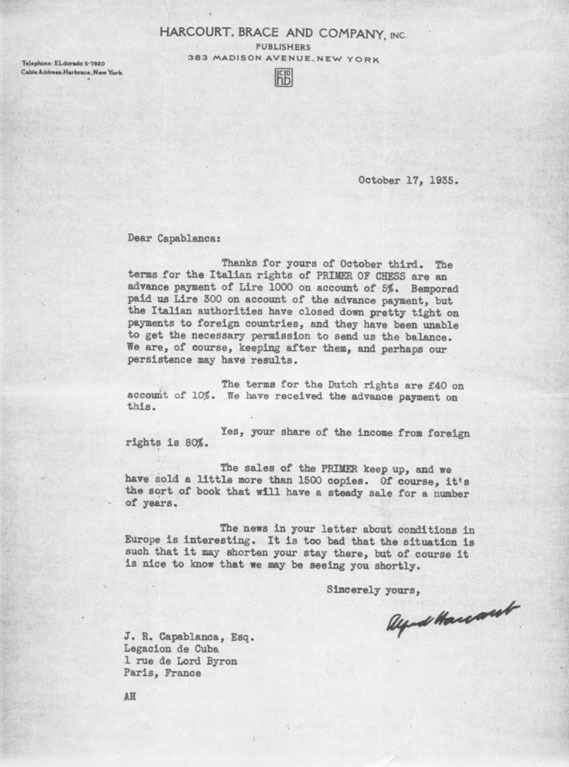 The University of Massachusetts Amherst holds a memorandum dated 29 November 1972 written by Mark H. McCormack, the founder of the International Management Group. He had been informed by Stanley Rader of receipt of ‘$200,000 in royalties since the Iceland chess match on Bobby’s eight-year-old book’. Latest update: 31 August 2018.